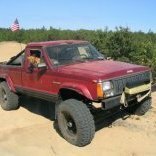 I have posted a few topics and have decided to start my build thread. 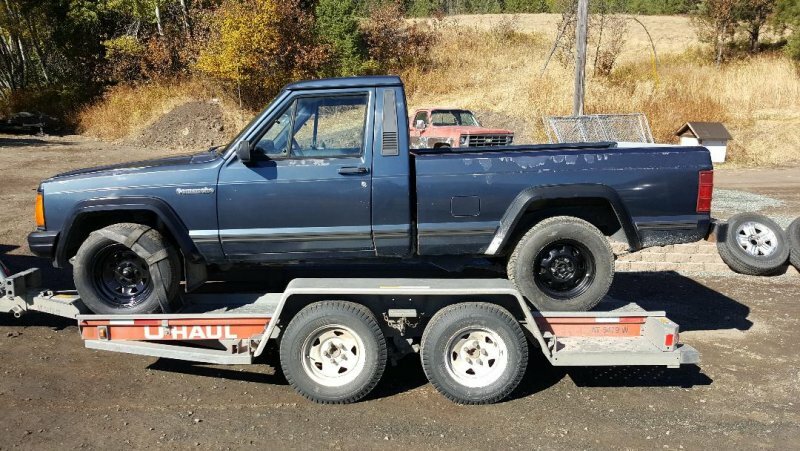 My grandpa bought a used 1988 Jeep Comanche many years ago. He drove it for years with my grandma brother and I sitting four across the bench seat. My Dad bought it from him and drove it for a couple years before giving it to my brother as his first vehicle. I got the Jeep after my brother as my first vehicle. 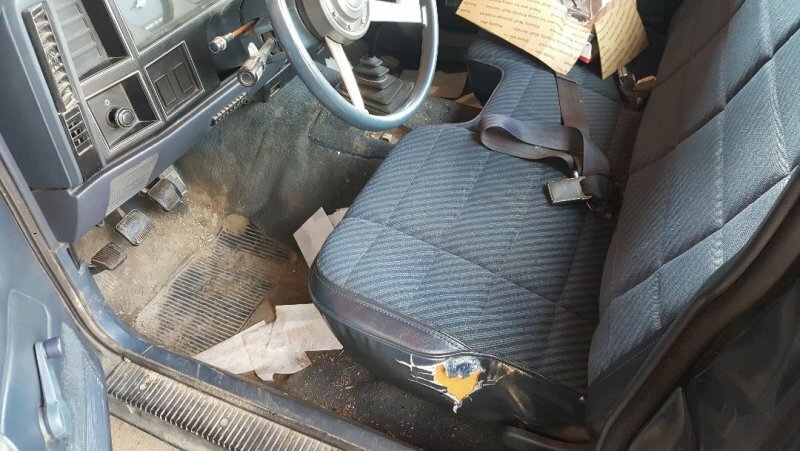 The MJ began to need some work so it was parked for a year or so before my Grandpa asked if he could fix it up. My Grandpa had it for about a year and did a few things to it. I bought a house and finally had the time and a little extra money to take it back. My wife and I had our daughter Macy in May and i recently took her for a little spin in the MJ making her the fourth generation to ride in our MJ. The goal is to make it reliable, paint it up and to convert it from 2wd to 4wd as soon as i find a good donor. 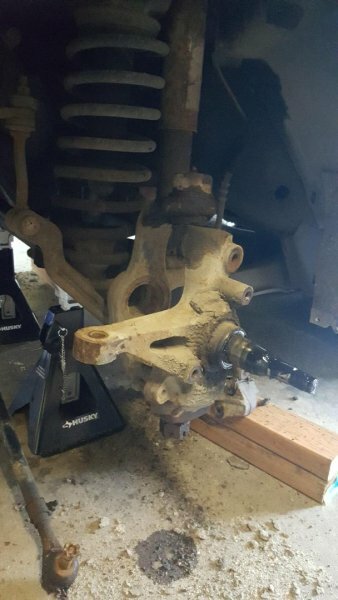 I have some buddies who operate a junk yard so when a 4wd Cherokee with a Dana 44 shows up ill jump on it. 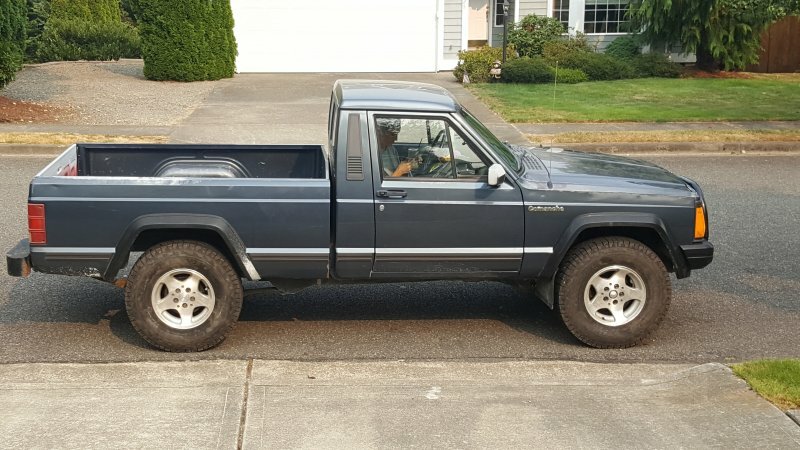 I picked it up in October 2017 and towed it from eastern WA to my house in Puyallup. I began to work on the interior and front end first. Fixing the seat is on the back burner for now but I hope to get it done the first part of next year. 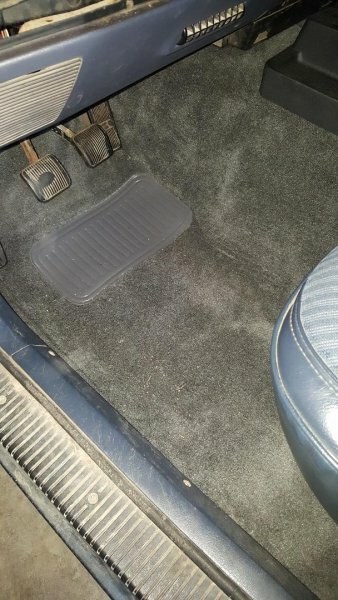 Got the new carpet in and a set of speakers while i was at it. I didnt have a CD player so I installed one of those. I had some water trickle in from somewhere and pool up on the floor. 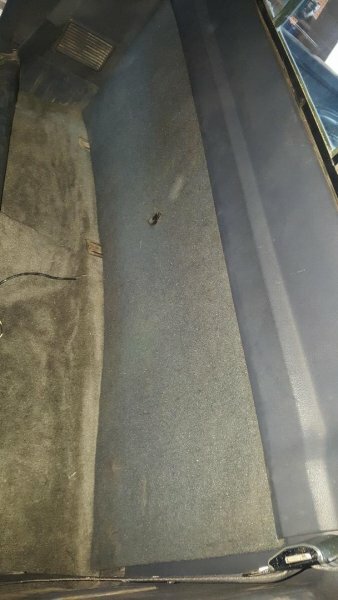 Not sure where it is coming from so I replaced the cracked and missing window trim pieces. I plan to replace the door seals too. 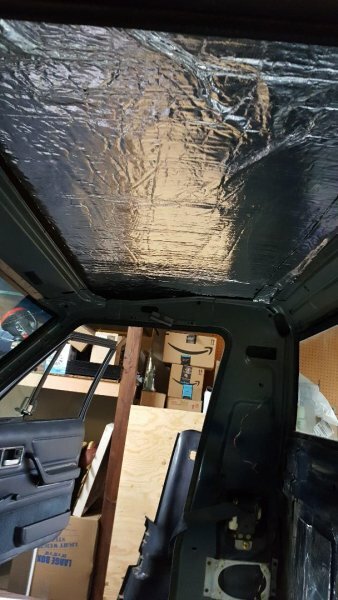 My wind shield is cracked in a few spots so when a new one gets installed it can get sealed up properly. 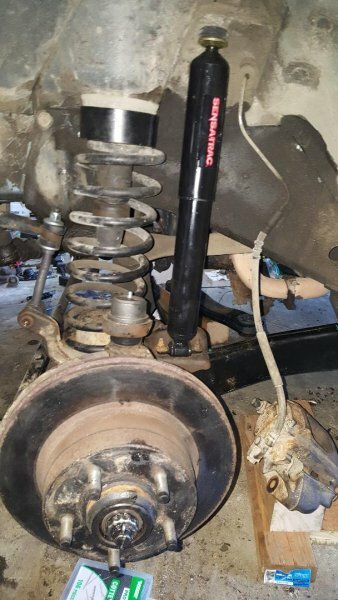 Put some lower control arms on, shocks, coil spacer and ball joints. I was driving the MJ to and from work about 55 miles round trip for about a month with no issues. I am averaging 16 MPG right now which I am happy with. I was on the freeway driving home and it sputtered and died on me. I had about a 1/4 tank of fuel at the time. I suspected the fuel pump or fuel filter. I asked for help and received some good responses from members. I replaced the filer and filled it up with fuel. I have not had the issue since but am slightly afraid of letting the fuel level drop. I'd like to drop the tank and check the condition of the fuel pump but am trying to hold out until I remove the bed. I am planning to paint it myself within a year and will have to remove the bed then. If everything works out I can do it then. 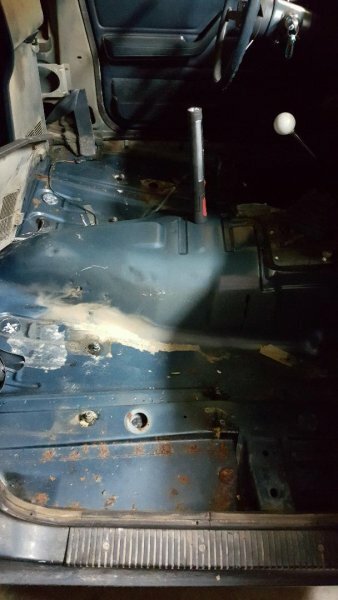 Has anyone every used a water sand blaster to strip the paint down to bare metal? I have watched some Youtube videos on these and they appear to work well. It would save me a lot of time doing this than sanding. Thoughts anyone? The above vid is a sales pitch, not an example of how to prep a vehicle for paint. Regardless of what retardant he sprinkled.........you'll have two hours to have the entire truck rinsed, wiped down, masked off and ready for 2K primer. Otherwise the bare metal will flash and you'll have a nightmare. If you are not prepared, time, equipment, material, experience.............do not go this route, it's more than you can chew. Become intimate with a DA, not nearly at bad as you think, one panel at at time. 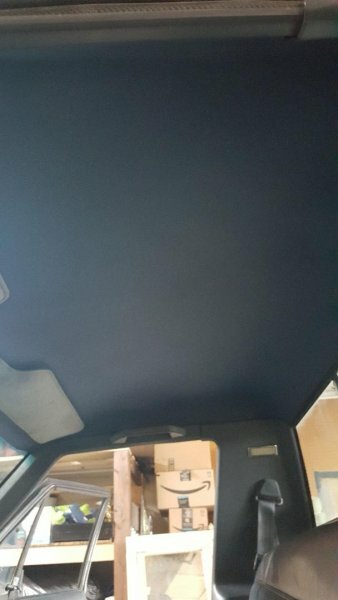 You will go back and DA the entire panel anyway as you do bodywork, and you'll hand sand the entire panel multiple times anyway (blocking). 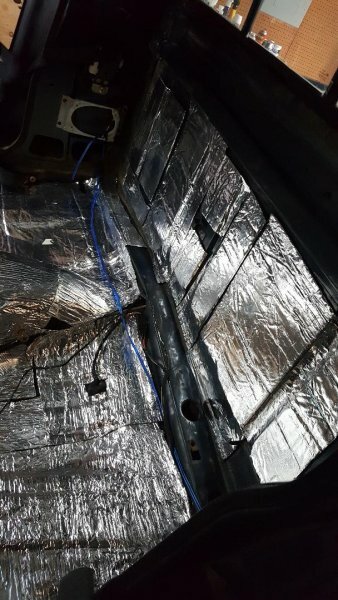 I am by no means an expert, however, skim through my build thread, I took each panel pretty much to bare metal, probably 3-4 hours per panel. It's work and there's no quick and easy way out of it. Jeep Driver is right. There are no shortcuts with bodywork. 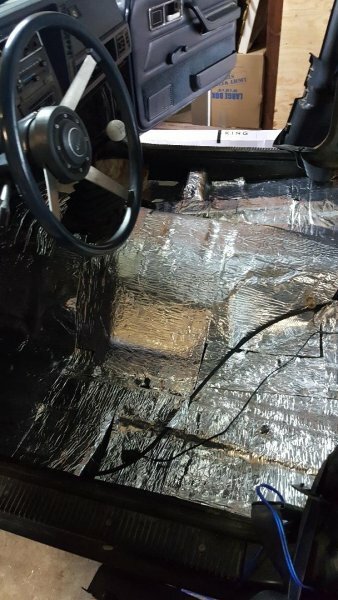 I'm about to do a YJ and two MJs myself over the next 2-3 years, and have done a ton of research on what it takes and what the best methods are. The dustless blasting is neat, but after a half a day you have everything stripped, but covered in blasting soda residue which will screw up your paint if left on, and is impossible to entirely remove. Beyond that, you only have a couple of days to prime the whole vehicle or you end up with rust. Slow and steady wins the race here. Good luck. Finally got my truck back home. I drove it home in the rain and when i arrived i noticed water running down the door jamb then under my plastic rocker. i removed the plastic and saw the water was running into the screw hole for the plastic cover. Where does the water go from there? When i park outside in the rain there is water that pools on the floor pan. 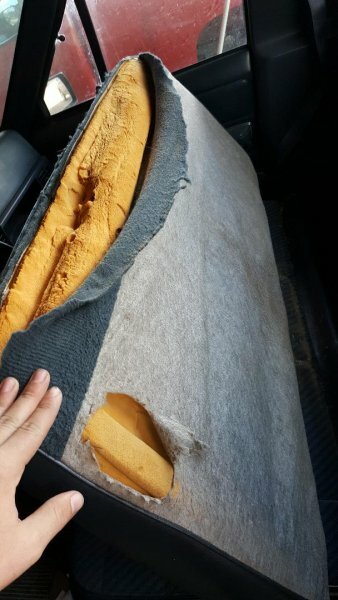 i believe a lot of that comes from the super old wind shield but who know. I bought a head light harness, B pillar lights, fog lights, flush mount reverse lights and plan to install all of that soon. After that i need to drop my fuel tank and inspect the inside of the tank and the fuel pump. When ever my fuel level drops below 3/4 of a tank the truck sputters and dies. I'll add some photos when I get it all done. 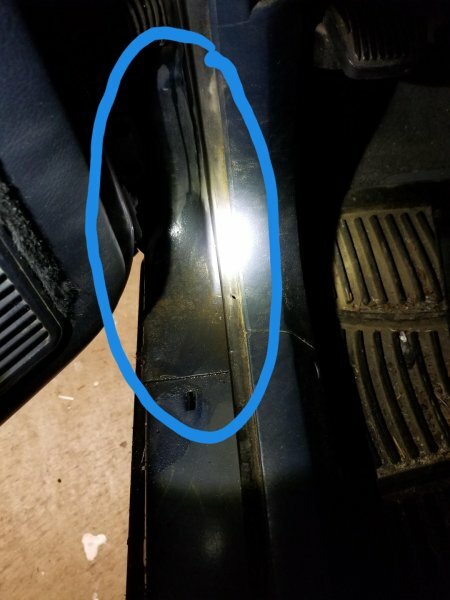 windshield leaks are way-common. 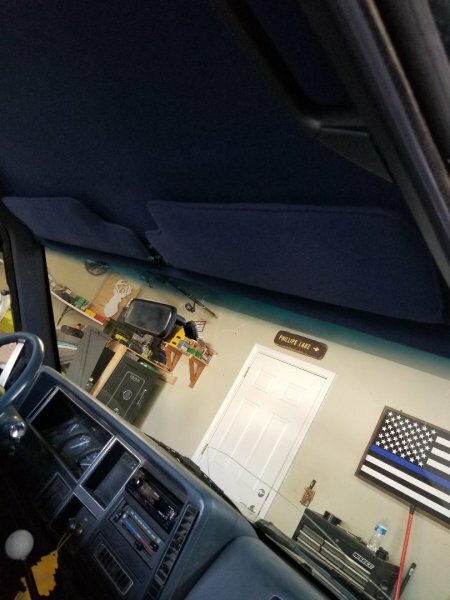 a latemodel XJ windshield gasket is a good upgrade. 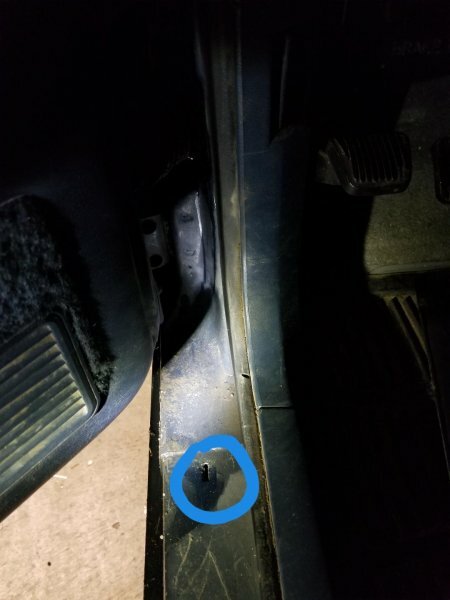 if i get a new windshield would that solve the leak? Wouldn't they install a new gasket? Got My visors wrapped up and reinstalled. terribly sorry, I was typing faster than my brain and so mushed some thoughts together. 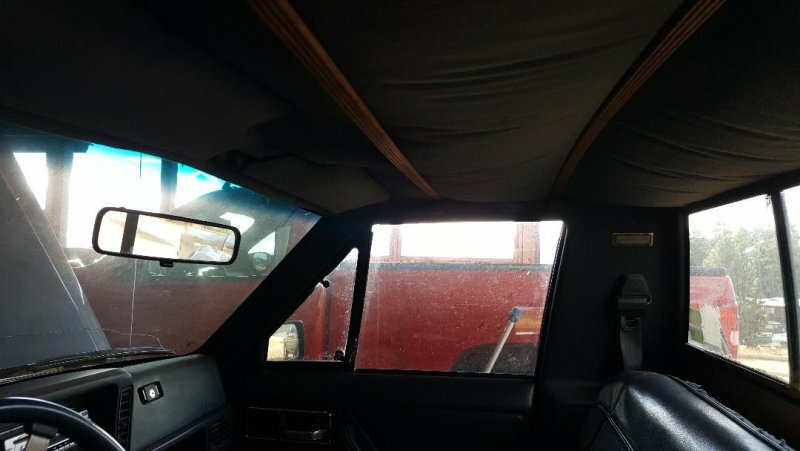 the windshields are essentially just glued in place so yes, if you get a new one, they will reglue it. (check for rust while it's out!) the late model XJs used a 1 piece rubber moulding gasket trim thing that replaces all the metal trim. it is a good upgrade and will help keep water out, but yes, the glue is the important part that seals things. 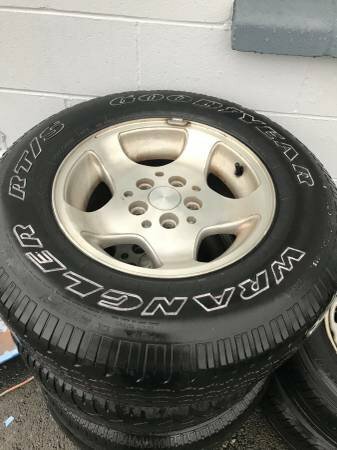 So I found this little number on craigslist. 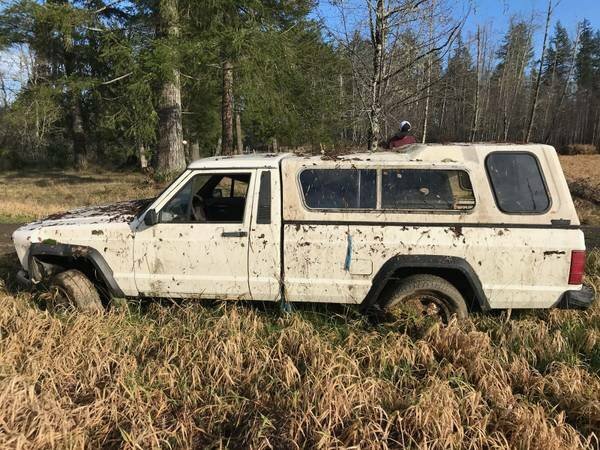 They want $200 bucks for it. 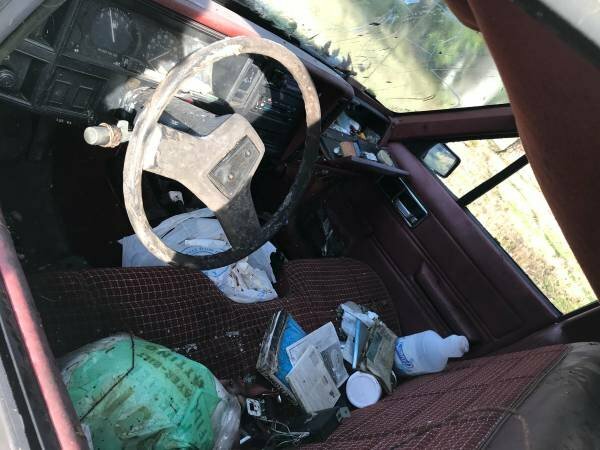 It says its a 1986 4x4. 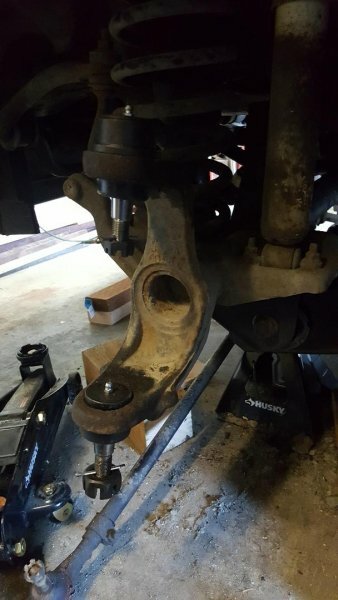 I need the 4x4 components if they are still good, mine is 2WD. There appears to be some good parts to sell that I do not need. I have already decided to buy it but if anyone has anything that should scare me away please let me know. If you haven’t bought it look for a newer XJ. 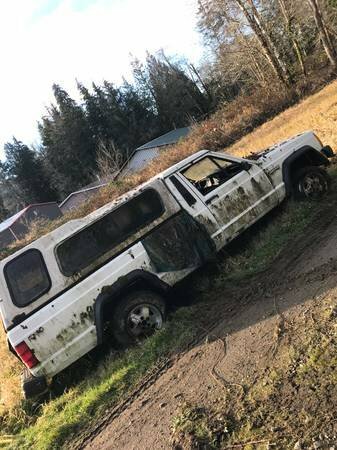 Can be had for $500 and has much better parts. Very good point, thank you. i agree with that as far as the 4x4 parts go. There are a lot of MJ only parts that I wouldn't mind having that don't look too bad.